I had the chance to taste some really neat wines from Small Vineyard's this last week. Small Vineyard's in a boutique Italian wine importer that has some amazing wines in their portfolio. They are just launching a Spanish program and I tasted around seven of these wines plus a few of their existing Italian wines. The wines in the picture are the ones I tasted from their new Iberian portfolio. I really enjoyed this tasting because it was a chance to see the newly released wines from several different regions across Spain. I can tell you that what I noticed was how the wines were almost all completely made in a "New World" style. I was shocked at the fruit forwardness and very vibrant flavors of these wines. 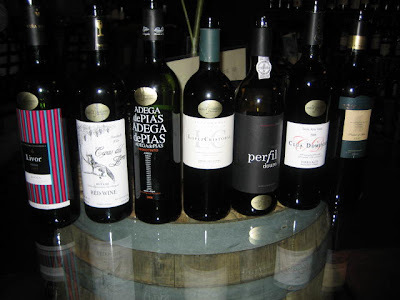 Spain is taking the forefront of the wine industry for a reason and this tasting demanded my attention because of the great QPR of each one of these wines. by the way this is lawman2 and tothewire! anyway thanx again for your sharing your site on our blog! No my friend, thank you!!!! I love Spanish wines. Of these seven, which was your favorite?